The building industry currently consumes over 50 percent of the world’s natural resources and produces over 40 percent of the solid waste stream. How building projects are designed, constructed, and operated in today’s environmentally conscientious world, with its limited resources, is becoming more and more important. The emerging field of “green building” technologies and sustainable design is based upon the need to reduce human impacts on the environment. Changes to the local natural environment are minimized. Materials installed have less of an impact on the environment. Less reliance on fossil fuels. Energy and water resources are more efficiently consumed. Healthier and ergonomic indoor environments are created. Less waste is generated and more materials are recycled. Environmentally friendly procedures in the operations and maintenance of buildings are established. Improve the health and attitude of the building occupants. Reduce maintenance and operation costs. o Increase flexibility and functionality of space. Increase productivity and efficiency of the occupants. Through the use of LEED and NYSERDA programs our design team and consultants are leaders in assessing the potential of your project to benefit from green building design and technology. Through detailed payback analysis and life-cycle costing of building products and mechanical equipment, we can evaluate and inform owners of opportunities available to them. Keeping owners aware of emerging technology and how it may benefit both operation and maintenance costs and improve the health and attitude of the inhabitants is something we pride ourselves on. 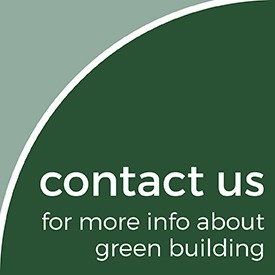 Knowing each project is unique in program, site selection and budget, we have the ability to recommend green building features that will be cost-effective to owners. Some projects may utilize only the minimum “common sense” approach, while others may choose to pursue green building technology to the greatest extent practicable. In either case, we can work with owners to supply them with the necessary information to make an educated decision when investing in sustainable building practices on any level. Detailed analysis and LEED’s certification can require a considerable effort by the design team and the owner. If desired, our team can evaluate the potential of each project and the effort that will be required to meet sustainability goals and certification requirements. Five LEED Accredited Professionals on Staff. 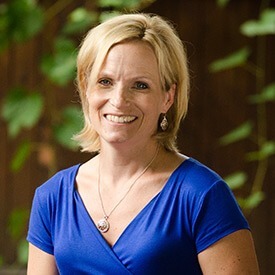 Marci Phinney, Office Manager at Phinney Design Group has nearly 10 years of experience managing the business office responsibilities for Phinney Design Group. She has handled a diversity of responsibilities over the years including Book Keeping, IT Support, Human Resources, Staff Management, Purchasing, Recruiting, and GIS Analysis. Her prior experience with computer technology has proven to be an essential asset to the PDG team, allowing her to manage the IT needs of the company as it has grown over the last 15 years. Marci previously was a GISP accredited Geographic Information Systems (GIS) Manager/Consultant. 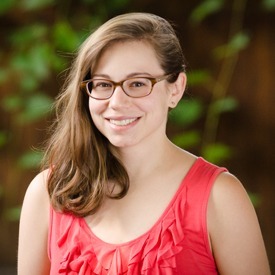 She has 10 years of experience working for Saratoga Associates where she was responsible for the companies GIS database development and management as well as collaborating with Planners and Landscape Architects to model 3D landscapes, assess visual impacts and develop community-wide planning strategies. 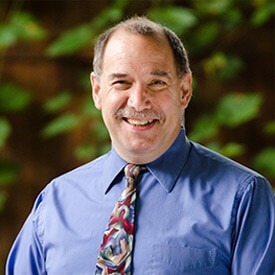 Robert March, Director of Construction Management Services at Phinney Design Group is a LEED Accredited Professional with over 30 years of experience in architectural design, construction observation, and construction management services. Robert has been a Senior Project Manager, Technical Architect, Construction Administration Leader, and BIM Coordinator for many architecturally and historically significant projects for commercial, academic, and government clients. Diverse experience characterizes Robert’s portfolio, including all aspects of project management, construction document development, consultant coordination, construction observation, and construction management services. Robert was previously a Project Architect and Senior Construction Administrator with EYP Architecture & Engineering. There he was responsible for the construction administration and observation of various projects, including New York University, The College of Saint Rose, Syracuse University’s Link Hall, and Franklin and Marshall University’s Fackenthal Hall Renovations. Other projects that Mr. March performed Construction Services for include GlobalFoundries Fab 8, the world’s first full-service semi-conductor foundry, the Stephen and Harriet Myers Middle School, the University at Albany RACC Gym floor and Athletic Turf Fields and Corning, Inc. Research and Development facility. 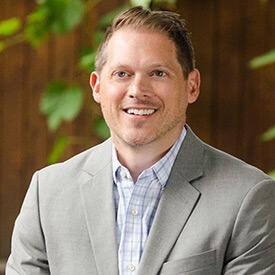 James (Jace) Brown, Vice President, Creative Director at Phinney Design Group is a licensed Architect and AIA Member with 14 years of experience in architectural design, development, and construction services. Jace’s creative design capability and liberal arts background is balanced by practical experience as a contractor and developer, resulting in his sensible client-focused approach to design problems. This is demonstrated in the recently completed Schematic Design for Spring Lawn, a boutique resident membership resort in Lenox, Massachusetts and “The Center” at Silver Bay YMCA of the Adirondacks which will provide a new 500 person dining facility, 400 person conference space and 22 new suite style guest rooms overlooking beautiful Lake George. Jace has lead the design and construction of numerous and notable private residences throughout the Northeast including lakefront camps, period restorations, ground-up estate properties and urban townhomes. His aptitude for graceful detailing and comprehension of lifestyle requirements have garnered national design awards and publication for residential projects. Jace brings these skills to bear on commercial projects including spa environments, public libraries, hotels and resorts as well as master-planning initiatives. His belief that enduring design and revenue-conscious building programs are not incompatible results in work that is operationally efficient, enjoyable to use, elegant, and sensitive to its time and place. He enjoys working with clients, consultants, local governments, design team members, and other constituents to create projects of lasting worth. 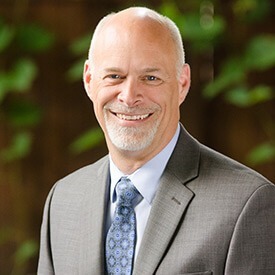 Michael Phinney, Principal at Phinney Design Group is a licensed Architect, AIA Member and LEED Accredited Professional with over 22 years of experience in architectural design and construction observation services. As the founder and Principal at Phinney Design Group, Michael has organically grown a niche company that has developed a reputation as a thoughtful, responsive and highly creative design firm balanced with great technical thoroughness. Being a leader and pioneer in the sustainable design movement since the mid 1990’s, Mike has the been the team leader on many environmentally sensitive buildings including the first certified green building in New York State in 2001, the first certified green building in the Adirondack Park in 2008, and the first certified “Healthy House” in the Northeastern United States in 2004. Having completed a great diversity of work and project types; Michael’s experience includes building design, interior design, landscape design, land use analysis, and urban and rural planning. Having often lectured on the sustainable design movement, he brings a revolutionary way of thinking to the way people build and develop in today’s society. Being able to work across a diverse array of project types is a skill set very evident in Michael’s work; being an excellent listener while allowing our clients to discover what they didn’t think possible has become a goal for every project the firm is involved with. Having been the Project Designer and lead Project Architect on hundreds of projects over two decades, Michael brings great knowledge, depth, creativity and a passion for design and detailed execution of the project through construction. He has become a mentor and coach for many talented individuals who have added to Phinney Design Group’s reputation and talent over the past fifteen years. 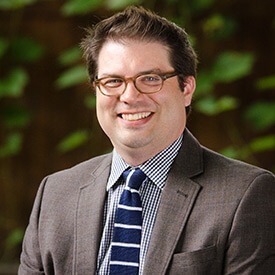 Michael Goard, Vice President, Director of Operations at Phinney Design Group, is a licensed Architect, AIA Member, and LEED Accredited Professional. He has 19 years of experience in architectural design, as well as in the management and construction administration of complex new construction, historic preservation, and adaptive reuse projects. Michael brings exceptionally in-depth knowledge to his leadership roles, guiding multi-disciplinary teams through programming and strategic planning, design development, construction documentation, and construction administration phases. He has performed these services for a wide variety of project types for numerous corporate, government, hospitality, college and university clients. Michael was previously a Principal and Project Executive with EYP Architecture & Engineering. There he was responsible for the renovation and restoration of some of our Nation’s most significant landmarks, including the Franklin Delano Roosevelt Presidential Library, Castle Williams on Governors Island, NYC, and numerous other historic structures collaborating with the National Park Service. 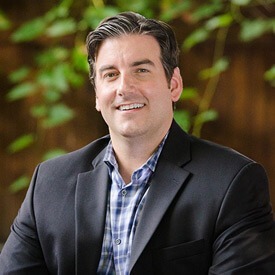 During his tenure at EYP, he was also responsible for business development and project management for several corporate clients including GE, The Walt Disney Company, Sodexo, Mercedes-Benz, Microsoft, GlobalFoundries, Chevron, and USA Hockey.